We’ve fed both our babies with bottles, for some of their babyhood at least. And as a result I’ve had the joy of learning about bottle warmers, for both the home and for travel. Picking the best bottle warmer can be hard. Bottle warmers that work well at home can be terrible when you’re away from it, and vice versa. The great thing about the bottle warmers below is that they work! A good quality bottle warmer is usually inexpensive and an incredibly handy thing to have. 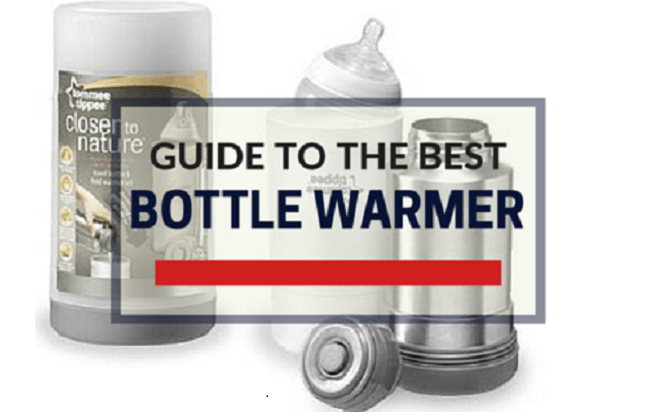 In this guide I hope to share everything with you that I learned about bottle warmers to help you make the best choice you can. 2.1 Where will you use it? 2.2 How well does it warm a bottle? To help you select the best bottle warmers for you and your baby we’ve found the top options and compared them with the key criteria in the below table. You can sort the table: just click on one of the column headings. Finding the perfect bottle warmer starts with deciding how you are going to be using it. There are some great designs for home that include all the top notch features such as temperature recognition, memory systems and their own mini refrigeration systems. However, if you require something for travelling or car use you will likely need to forgo these features for something more portable. A good car option is a bottle warmer that can attach to the car adapter and be heated this way. When travelling, a lightweight and self heating bottle warmer without the need for an external power source is ideal. We would use the latter not only when travelling, but when going to events at home like out to the football. It can also be advantageous to have a compact bottle warmer to leave in the car to save yourself the hassle of trying to heat a bottle when you are out and about. How well does it warm a bottle? Each bottle warmer heats milk differently. Some bottle warmers use steam, where water is placed in a tank, the bottle placed in a chamber and the water heated so that steam will heat the chamber from the outside. This can create hot spots and a good warmer is designed to heat milk evenly and avoid different temperatures. Bottle warmers that submerge the bottle in hot water are also an option. The water will often swirl around the bottle leading to a more evenly heated bottle. Ultimately this will fall down to the individual bottle warmer and not merely how the bottle warmer heats the milk. After how well it heats a bottle the most important aspect is how long a bottle warmer takes to do the job. In our experience we’ve found that bottle warmers that cover the bottle with water will heat bottles the fastest. This method will heat bottles in just a couple of minutes (or less). Steam bottle warmers are comparable but a bit slower. Other heating methods, especially self warming bottles, can take upwards of 20 minutes. Some bottle warmers can even do a bad job at heating the milk – with some milk going cold before the warmer is “done” and require a second reheat to get a good temperature. Although self warming bottles seem like a good idea in principle, they are often disappointing. There are some newer models available however, and we will keep you updated when a great one comes along. If you require an almost instant bottle warmer, then the ones that fill with water are your best choice. All bottle warmers will require some effort on your behalf and it can be tricky learning to use them when starting out. Each bottle warmer should include a chart that shows how to heat the bottle, and this will change for each individual bottle size, milk temperature etc. Heat sensors can make the bottler warmer easier to use and this will forgo the risk of overheating the bottle, but models with timers can be just as effective. It is also important to factor in wait time and a good bottle warmer shouldn’t take longer than a few minutes. Some bottle warmers also include a memory system and one touch buttons which can be great if you are regularly heating bottles of the same temperature. Who wants to spend much time cleaning a bottle warmer after use? No, me neither. Thankfully most bottle warmers don’t need a lot of time to clean. Cleaning should not take long and the warmers in this guide do not require cleaning after every use. Some baby bottle warmer reviews have reported a residue build up on their warmers but this is usually only slight and seen in those with a water tank. Most manufactures recommend a wash through (usually with a water and vinegar solution) at least once a week to prevent this residue and mold build up. Bottle warmers should be (and usually are) easy to clean. Warmers with a lot of parts will take longer, so if cleaning time is a top priority then keep this in mind. 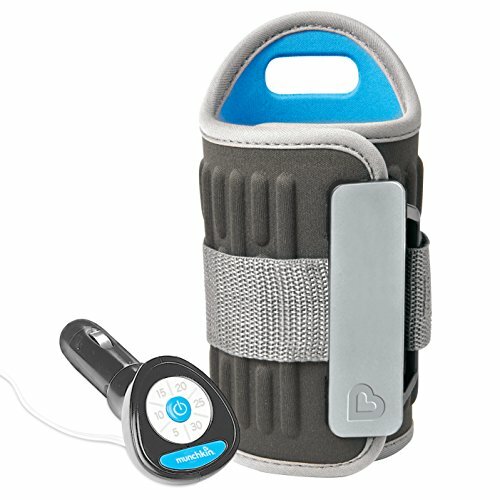 If you are travelling long term you will likely want to know the what is the best bottle warmers for travelling. It is important to make an effort to reduce the amount of things you carry with you so it is not ideal to carry around big bottle warmers. The same goes for short term travel where you only want to take a few supplies. When thinking about bottle warmers, it is ideal for them to be portable and lightweight so that they are not intrusive and do not take up much of your limited space. Travelers with young children will quickly learn the benefits of having a baby warmer with them. Depending on where you’re traveling, microwaves are not always available at a moments notice and, with the nutritional depletion caused by them, it really is handy to carry a portable baby warmer with you. It is preferable that these bottle warmers do not require an external power source, and so a battery operated bottle warmer is more appropriate. We have listed our picks below that require no external power source. Self heating bottle warmers are also ideal as these can be used wherever you may be in the world at any point in time. Our pick for the best travel bottle warmer is the Tommee Tippy Travel Bottle and Food Warmer. As the best rated bottle warmer in our list, this travel baby bottle warmer consists of a thermal bottle that holds heat in hot water from a kettle for heating a bottle whilst out. The hot water is poured from the thermal bottle to the included container and from this you can place your bottle in to it for heating. The bottle warmer does a quick job and was found to regularly heat a bottle in under 5 minutes. The thermal bottle also does a great job at keeping the water boiling hot for hours. This is the reason it is a great bottle warmer for travel, as it does not require an external source to heat it. This is also a great option due to its small and lightweight design, and also means it is a universal bottle warmer. The thermal warmer is safe in that it is both BPA and phthalate free. It has been designed for the Closer to Nature bottles that are sold separately, but the lid is large and wide enough so that most bottle should fit comfortably. The bottle warmer heats baby food quite well too. This bottle warmer is very cheap and cost effective, and therefore it does not include any sensors or timers. It is great when you are traveling and on the run, and has proved to be a top parents’ choice bottle warmer. 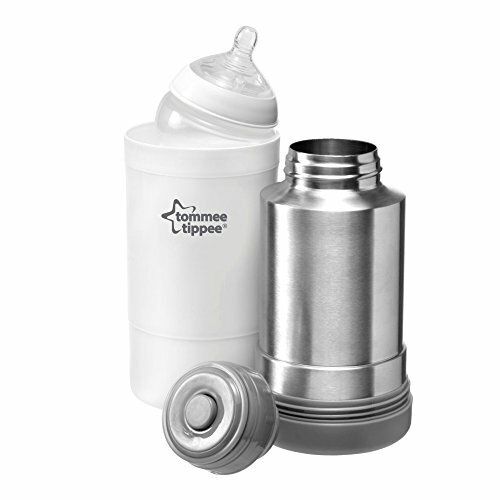 Click here to learn more about the Tommee Tippee Travel Bottle and Food Warmer. Another bottle that is great for travel due to the lack of a need for a power source is the Prince Lionheart On-the-Go bottle warmer. 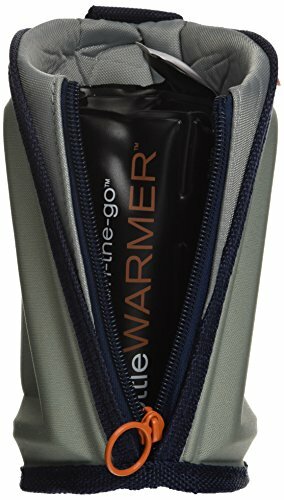 The On The Go bottle warmer is quite different in that it heats a bottle by placing a pouch of liquid around the bottle, and by pressing the button on top, a chemical reaction within in the pouch is created which transforms the liquid into heated crystals. During this process the crystals are heated thus heating of the bottle occurs. The bottle can be left in the carry bag so that is continues to stay warm which is a positive of this method of this form of bottle warming. The major downside of this bottle warmer is that you will need to boil it in water to use it again, so it is only useful once. However, they are low priced and small enough to be a really portable baby bottle warmer that you can have a couple on your person at any one time, and as it is tough to find a double bottle warmer for travel, this is probably the best option. This is a pretty cool method of warming the bottle which has been found to be very effective, and as it is so portable it is easily one of the best portable bottle warmer options for travel. If you are accustomed to long trips in the car then it can be very handy to have a bottle warmer that can be used in the car, not least because they can be hooked up directly to your cars power outlet but they are also usually faster than ones that work without a power source. This can also get rid of the worry about self heating bottle warmers, as some may contain harmful chemicals that if pierced can cause damage. It is also not always appropriate to navigate a thermal warmer with boiling hot water while on the road with a hungry baby and a destination awaiting. Those parents that need a bottle warmer for the car will benefit from ones that can plug into the car adaptor as a power source. It is also useful to look for ones that include either a timer or heat sensor as many do. The Munchkin Travel bottle warmer is the perfect car baby bottle warmer that is great for travel on the road. Learning how to use the Munchkin bottle warmer is easy as it heats the bottle by placing an adjustable band around it and plugs directly into the socket from the car adaptor. This is very useful when on the road and as this bottle warmer does not use water it saves you from having to deal with boiling hot water whilst driving which can be hazardous. The band is tightened around the bottle by a hook and loop strap to provide a thorough, even warming of the bottle. The Munchkin bottle warmer also has a light up timer display on the adapter. This is a great feature on such a low cost model which is another thing that gives it the title as the best car bottle warmer. The timer of the car bottle warmer will default at 5 minutes at which point the heater turns off automatically but this is likely not long enough to warm chilled bottles which will often require up to 20 minutes warming. 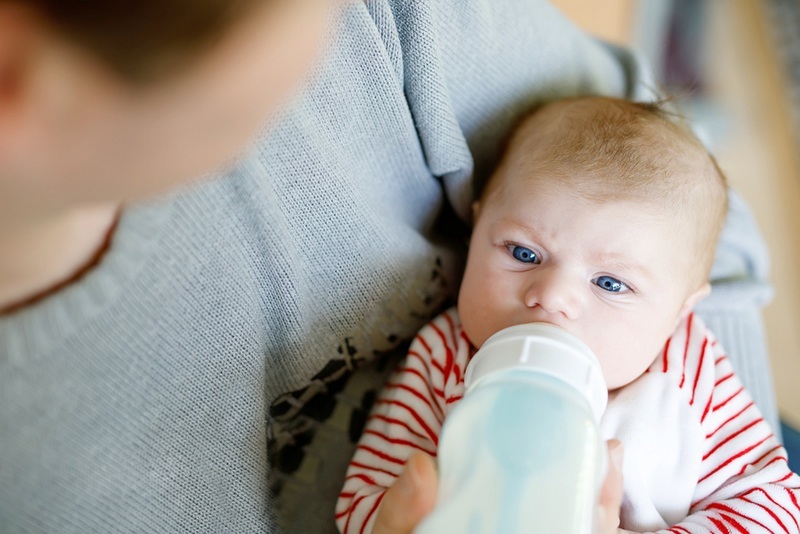 It is therefore not an instant baby bottle warmer for the car (as most are not) but becomes more effective when bottles are at room temperature. It is definitely one of the most affordable bottle warmers on this list and as the best bottle warmer for the car will surely be invaluable when on the road. Click here to learn more about the Munchkin Travel Bottle Warmer. A relatively new bottle warmer option, the Gland Portable is designed to be the best breastmilk bottle warmer available. The Gland electrically heats water to warm up the bottle. It’s great for warming other things as well, like baby food. You can use it to sterilize, too. The Gland Portable has some great features that make it really well suited to warming up breastmilk. First is the quick warming mode which will warm the typical bottle in a minute. Second is the the state of the art heating system that warms milk evenly. Requiring not a lot of water this bottle warmer makes the process very smooth. In addition, the Gland Portable has some other nice touches. There’s an LCD display to show the current temperature and both audio and (optionally) visual indicators telling you when the bottle is at the right temperature. You can easily adjust the desired temperature as well as an option to hold that temperature while the bottle is still in it. And one of the great things is that the Gland will automatically stop heating when the water is too low (and let you know). At only 1.4 pounds, this warmer is certainly compact and lightweight. Although not ideal for travelling (it still needs some suitcase room and mains power) it is still quite portable. If you’re travelling by car or can spare the room in a suitcase then the Gland has the potential to go with you without being a burden. It’ll certainly fit in a diaper bag. 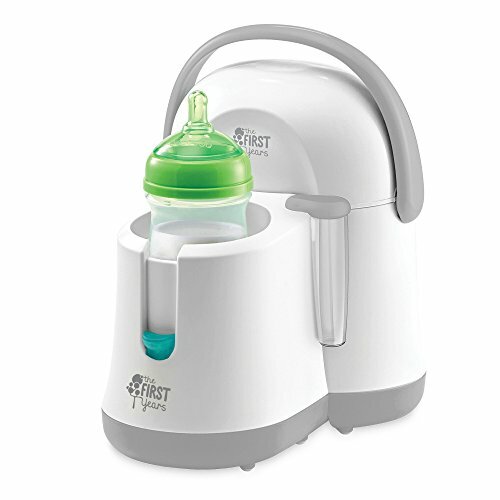 See the latest prices for the Gland Portable Baby Bottle Warmer for Breastmilk here. Being organized before bedtime is easy with this particular product, which works to both warm and cool bottles, as well as also being able to warm up baby food jars too. Great for multi-function, this bottle warmer and cooler can hold two bottles at any one time, and accommodates most types of bottle, including wide and narrow sizes. There is an auto shut off feature for added safety, and you can easily keep two bottles cool for up to eight hours, with the cooling unit removable from the rest. All you need to do is pre-measure the water in the vials provided and you can easily go through two nighttime feeds with minimal fuss. Simply add the water and press the ‘on’ button, and in a few minutes you will have a warmed up bottle, with a light switching off to tell you it has finished. In addition, the basket which fits inside the machine can also warm up baby food jars. Click here to learn more about The First Years Night Cravings Bottle Warmer & Cooler. 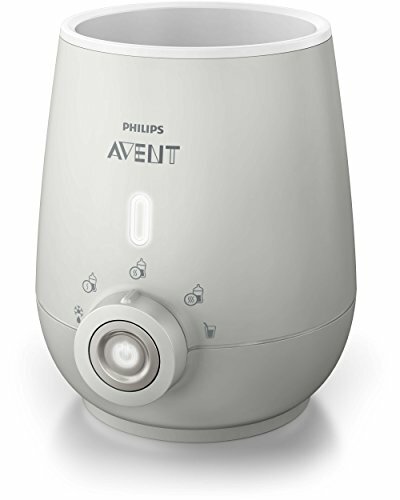 The Philips AVENT bottle warmer is one of the more sophisticated versions of bottle warmers for home use. The AVENT bottle warmer also features integrated sensors that track milk temperature and automatically turn the system off once milk has heated to ensure it is not overheated. Milk is circulated inside the bottle during the heating process ensuring an even warming of the bottle. 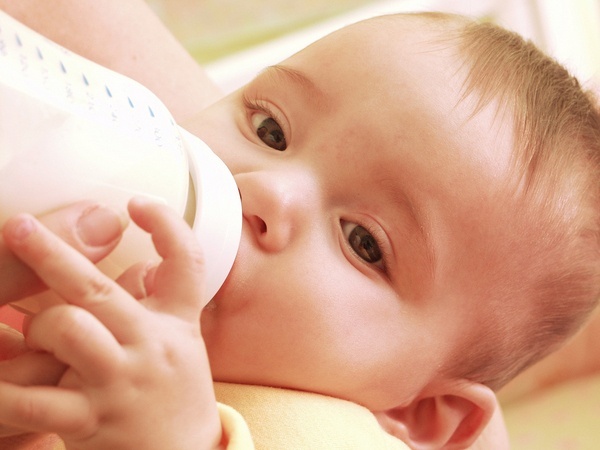 This works best with AVENT baby bottles, and the AVENT bottles can be purchased separately. However, the system does work well with other bottles. The bottle warmer is not just a baby bottles warmer, but food too can be heated/defrosted, and the ideal temperature for the food can be selected. The system will then automatically switch off once the food has reached this temperature. This baby bottle warmer does a relatively quick job at heating and bottles are generally heated in under 10 minutes. It also includes an indicator light to inform you of the bottles progress. This bottle warmers scores full points in easiness to use and its sleek design will compliment any kitchen. Click here to learn more about the Philips AVENT Premium Bottle Warmer. A simple bottle warmer product, this particular choice is lightweight, so you can move it around if you are heading off on a travel adventure, or perhaps travelling to grandmas for the weekend. The auto shut off feature gives you peace of mind in terms of safety, and it is also a flexible choice in terms of the types of bottle it can accommodation, with wide, narrow, and angled bottles perfectly fine. Overall, you can fit four items inside at any one time, with space for pacifiers and a baby food jar with the basket which fits inside. The measuring vial also helps you anticipating feeds, cutting down stress in the middle of the night! In just a few minutes you have a warmed up bottle, and again, the auto shut off feature gives you a safety net when you might be half asleep during the evening hours! Click here to learn more about The First Years Quick Serve Bottle Warmer. 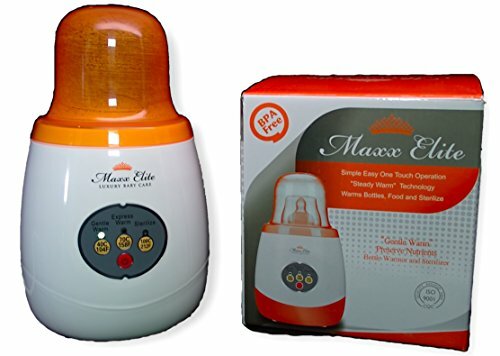 The Maxx Elite Gentle Warm warmer is a an incredibly simple to use bottle warmer. Warming bottles through electrically heated water it, all you need to do is put the water and bottle in, then push a button for one of the three modes: gentle warm, express or sterilize. Gentle warm will heat up a bottle gradually to 40 degrees Celsius and then hold that temperature for hours (some reviews have said as long as six). This means the bottle is ready for when you need it – even when you don’t know when that is. 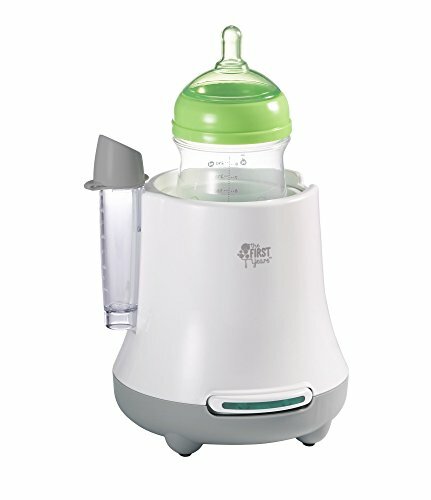 It heats evenly and is a great mode for breastmilk. Express mode heats up to 70 degrees Celsius rapidly – within two minutes. And sterilize will heat the water to steam, sterilizing a single bottle in around eight minutes. The Maxx Elite will automatically shut off if it detects overheating or not enough water. Like the Gland Portable (above), this warmer has travel warmer potential. It weighs even less – just 1 pound! – and is smaller, too. While it still needs to be plugged in the Maxx Elite can almost go anywhere. 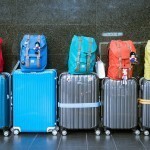 It would be suitable for all but the lightest travelers. 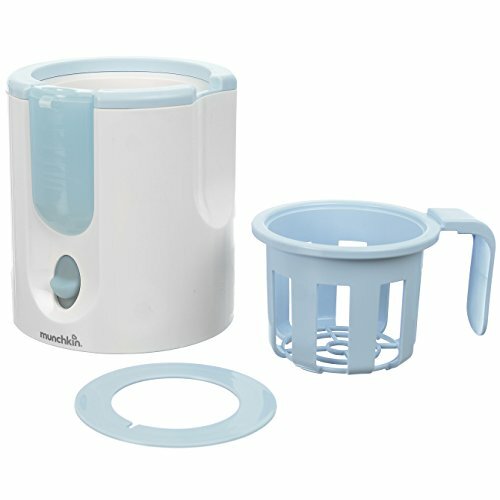 Read more and see the latest prices for theMaxx Elite “Gentle Warm” Smart Bottle Warmer & Sterilizer by clicking here. 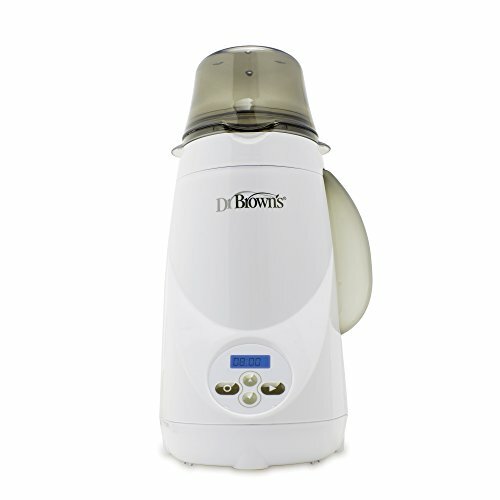 Next in our reviews is the Dr. Brown’s bottle warmer. A great feature of this bottle warmer is that its cycle memory has the ability to remember your preferred heating time with a one touch button. This is a great feature if you are regularly heating milk from the fridge as you will know the ideal heating time. This bottle warmer works through its water chamber which produces steam. Chilled bottles are generally heated under 5 minutes (usually around the 3 minute mark) chilled from refrigerator. It also works great as a steriliser as it is powered by steam. and heats jars and bottles alike. Some bottle warmer reviews have reported that the water tank can grow mold, however this can be rectified by cleaning out the water tank once a week with a vinegar and water solution. The heater includes a basket insert that makes it easy to remove the bottle even when its hot. The warmer also has an alarm and a flashing LCD screen so that you can keep track of the warming bottle and be alerted when its finished. 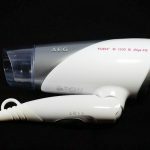 This steam warming system is great for on the go needs, weighing just 1.4lb. In addition to this, there are many extras which make this a very flexible product. One of the main features is that there is constant heat applied to the milk or food, which means it is warmed evenly, keeping all the vitamins and nutrients firmly inside. There is an auto shut off feature, which gives you peace of mind, especially during the evenings, and milk is heated in just 90 seconds, which is fast enough for demanding babies! 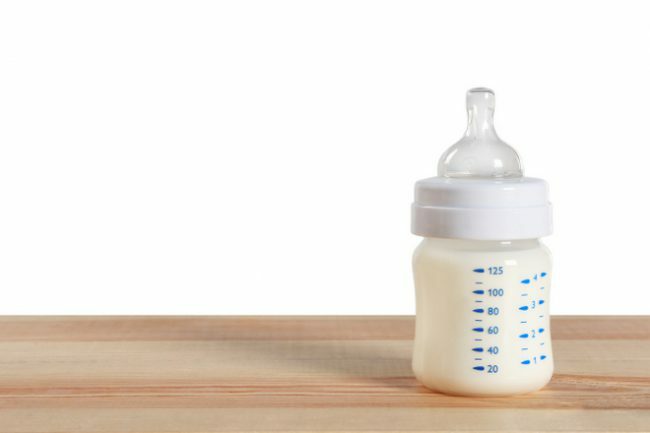 There is an included adapter ring which helps to hold smaller bottles in place, as well as baby food jars too, and there is also a measuring cup included to help you measure out the correct amount of water for the warming process to take place. Overall, this is a very easy to use product, and very fast acting. 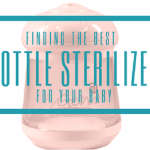 You may also want to read our guide to the best bottle sterilizer or our other product guides. What is your favourite bottle warmer? You did not review the Avent Bottle/Food Warmer Thermoflask any thoughts on this product as I just brought all there bottles. I will look into the Avent Warmer, thanks!